Apologies for being up a little later than usual this week; we hope you love our further discussion of Ravnica Allegiance. 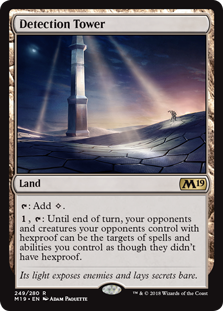 Both Top Level Podcasts hosts think this is going to be a great card for Standard. It’s essentially a more flexible Hero’s Downfall… Same total casting cost, but you do have to replace one generic mana with a red pip. On the other hand, there is little spicier than getting an opponent that just tapped out for The Immortal Sun with a card you just happened to have in your main deck. Bedevil will probably also be good in Modern! Hero’s Downfall is played in Modern and this one is a substantial upgrade, so long as you can cast it. Dreadbore always did what you wanted, but was slow. Bedevil, even for another mana, is better friends with Snapcaster Mage. It’s also just another nice option to help you bust out of a Lantern lock. Patrick starts off a little incredulous. How much better is Absorb than Sinister Sabotage? There is also a little tension between the W in Absorb and the aggressive requirements to play Niv-Mizzet. Mike retorts that people are already bending over backwards to gain three life. Absorb doesn’t cost them a deck building slot, and doesn’t cost any more mana. While it might not be the most appropriate for the 4x Niv-Mizzet decks, Absorb seems like it would get along well in the Chemister’s Insight ones. 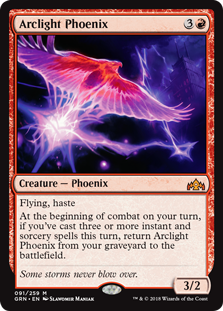 Plus… The part of Mike that likes to cast Rekindling Phoenix and Goblin Chainwhirler is absolutely terrified of this reprint! Emergency Powers – Mike loves the Addendum mechanic, but neither of our hosts is necessarily a buyer of Emergency Powers. Mike recounts historical implementations of “we both draw seven” cards… Which have been mostly full of cheap cards. When will you get paid off? Patrick counters, though: River’s Rebuke. Sphinx’s Insight – Again, neither host likes this card more than Chemister’s Insight. No one is interested in the prospect of casting “Inspiratin” main phase; and if you’re casting this during the opponent’s end step, it is way — way — worse than Chemister’s Insight. 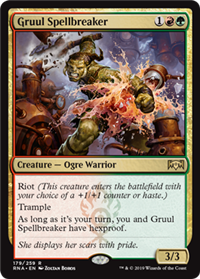 Gruul Spellbreaker – Not that much worse than a Woolly Thoctar when it’s big… Lots of a Boggart Ram-Gang. Mike has been in for both at various times of his deck design career. Not for nothing – This card turns the eff off of Settle the Wreckage. Light Up the Stage – This card is substantially better than we — at least Mike — originally thought. Shout out to J Mazz on Twitter for setting him straight! @TopLevelPodcast fellas, light up the stage let's you play the exiled cards until ends of your next turn. Ravnica Allegiance Spoilers Are Upon Us! Spectacle in particular can go a couple of different ways. For example, Light Up the Stage discounts a “red Divination” from 2R to R. Some costs get more expensive (but give you more oomph). For instance Rix Maadi Reveler is a 2/2 for 1R. Its spectacle cost is actually higher at 2BR… But you get up to three times the card advantage. Is that worth a splash of black? But for now… We think it’s Growth Spiral! There are some big clunky threats. There are some cards that might be relevant (but might either be too much work or just too expensive). 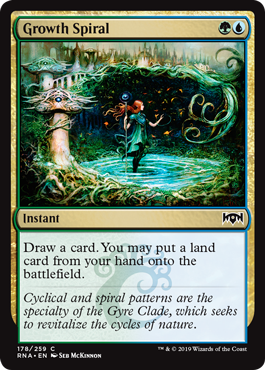 As an “instant speed Explore” we expect this card to be a paradigm shifter for decks that can cast it. 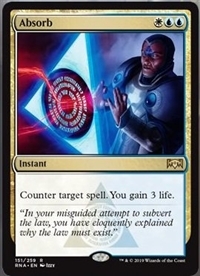 They can hold back for Essence Scatter or Syncopate on turn two… But if the opponent doesn’t walk into their permission, they can go straight to four on turn three. Oh, and it draws a card!